Solar powered rainbow maker. Attaches to window with a suction cup. 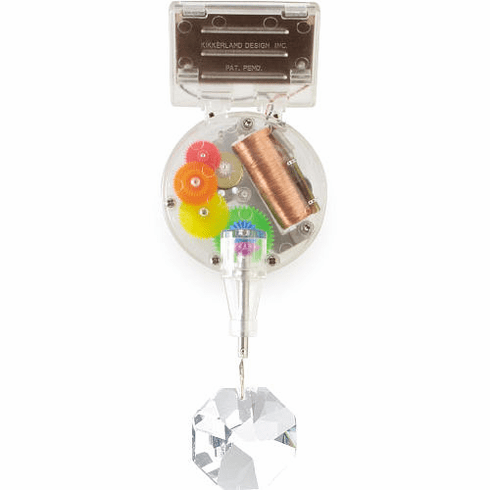 Genuine Swarovski crystal rotates and refracts sunlight to create a swirl of rainbows. L 6" x W 2" x D 1"